At impact you want to be swinging the fastest you can be. But you also want to be accelerating at impact not slowing down. If you accelerate at impact rather than slowing down then you’ll hit the ball further. So today I have for you a drill to help you accelerate through the ball. 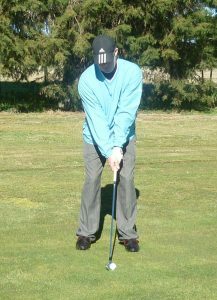 To do this drill I want you to setup to a ball as normal with say a 5-iron. Then I want you to pump the club a few times and then swing down and through. And when you swing down and through I want you to feel as though you’re accelerating as much as possible. 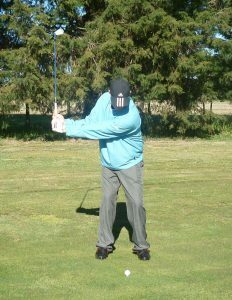 So much so that you are still moving quite fast by the time you finish your swing. Here is a video showing you one of my students doing this acceleration drill. 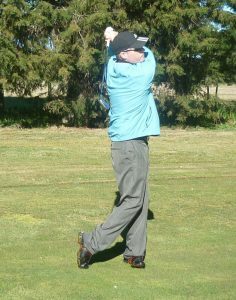 Practice swinging half-way back, stopping and then pumping the club a few times and accelerating as fast as you can down and through. You can do this with or without hitting golf balls.